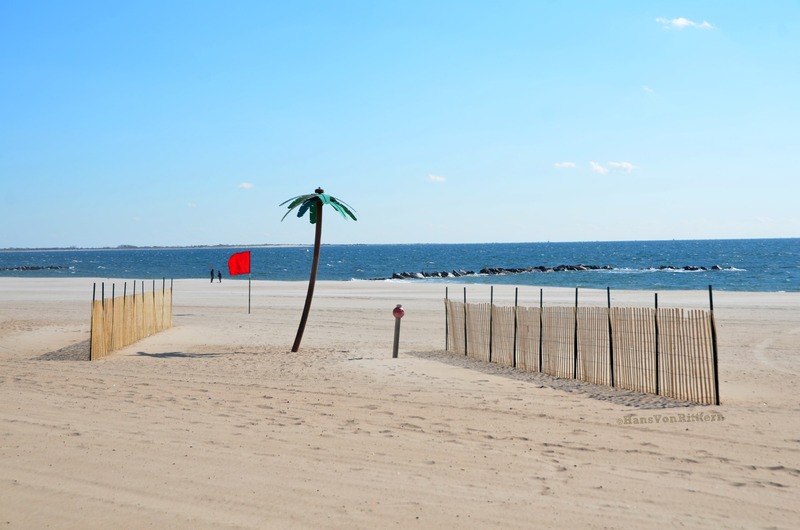 Photo of the day: THE CALM AFTER THE STORM – One year later after hurricane Sandy, the scene yesterday on Coney Island Beach was so serene, one would never know there had been chaos and destruction all along our coastline just a year before. Just a few strollers shell hunting on the windy beach. Most of the strollers were enjoying the sun on the boardwalk, sunning themselves while enjoying a Nathan’s hot dog. In November the rides will shut down awaiting the children’s laughter again in the spring of 2014. Hopefully time will heal the wounds of the heart and finances so that Brooklyn, Queens and Staten Island, as well as Ellis Island will be able to return to their former glory. This entry was posted on October 30, 2013 by newyorkcityinthewitofaneye. It was filed under DAILY PHOTOS WITH STORIES OF NEW YORK CITY and was tagged with 1 year later after Sandy, beach after the storm, beach erosion, Brooklyn, CALM AFTER THE STORM, Coney Island beach, Coney Island boardwalk, Hans Von Rittern, Hurricane Sandy, Manhattan, Nathan's hot dogs, New York City, New York photo, Palm tree fountain on beach, Photo of the day, photography, Queens.